We watched you pull into the handicap spot and get out carrying a toddler. You have no right to park in a handicap! It is for handicap people! She was so infuriated that she decided to share it with the world and explain why leaving notes on windshields does not help to advocated for the disabled. 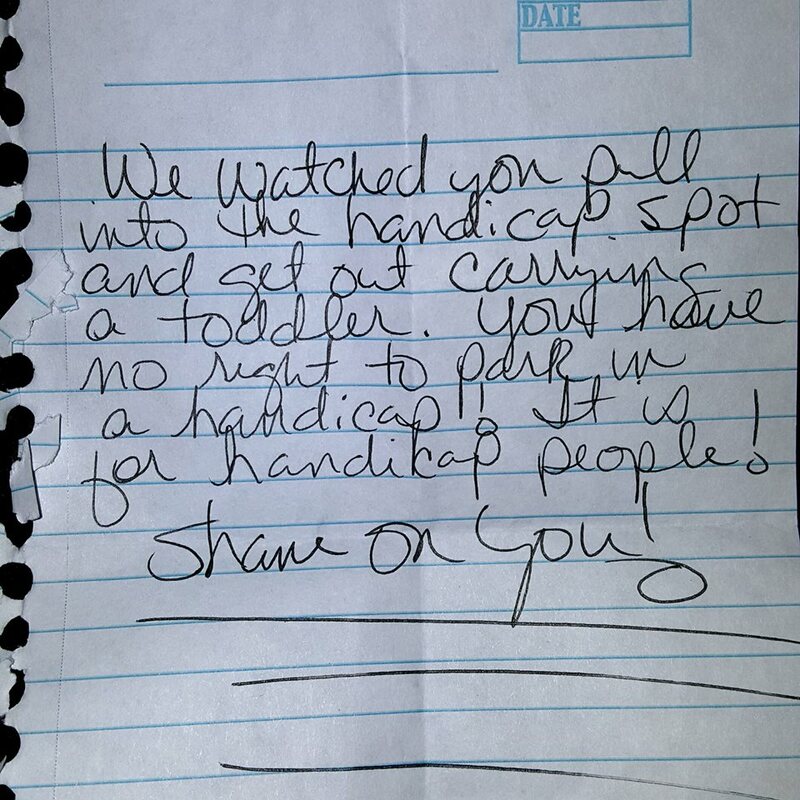 While a few people have pointed out that she was, in turn, shaming those people right back, people who live with disabilities chimed in to say that these notes end up on the wrong cars more than ever nowadays. The people who wrote the note were trying to help, but by ignoring the handicapped tag, made a difficult situation even harder for this struggling mom. So, what is the solution? Leaving nasty notes on windshields doesn’t help anyone, one commenter said. 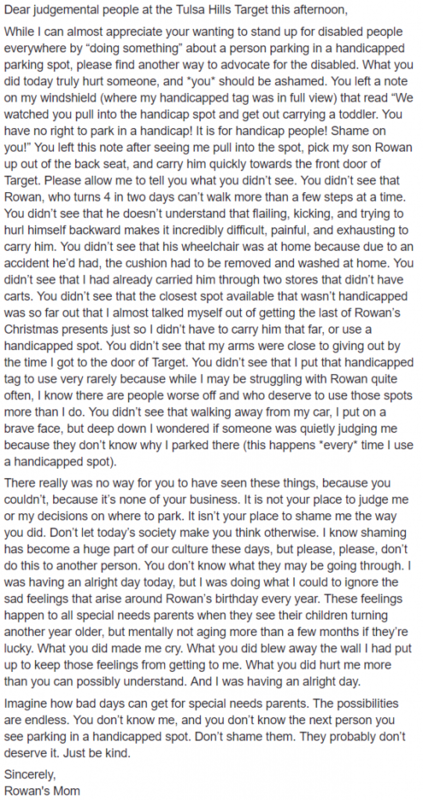 Another said that stores should have more handicapped spots available to avoid this issue altogether. What do you think about this mom’s plea?